The friendships. A wholehearted truth. Renewed dreams. My reclaimed life. Just a few of the extras of my infertility journey, none of the above a consolation prize of my hard story and three lost babies, rather gifts that I have fought for, created, and received. My friendship with Kaeleigh, of Unpregnant Chicken, is one of those extras. Last week my friend, who I only met through the community of infertility and loss and this big awesome world of blogging and social media, released her first book. I am so excited to support her by being a part of this amazing blog tour and offering a giveaway! 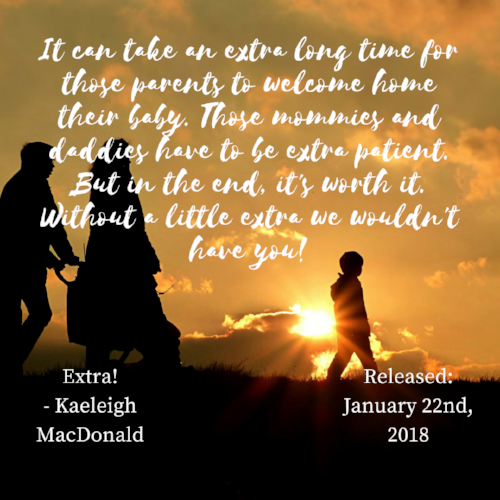 To be entered to win your own copy of Extra! simply comment on this post. I will draw a winner on February 15th, 2018. I am so proud of this project and it's offer to families who need a little extra to find their way to their version of the complete family portrait. Make sure to follow along on this blog tour and check out Christine's post from Friday and Victoria's which is coming tomorrow! 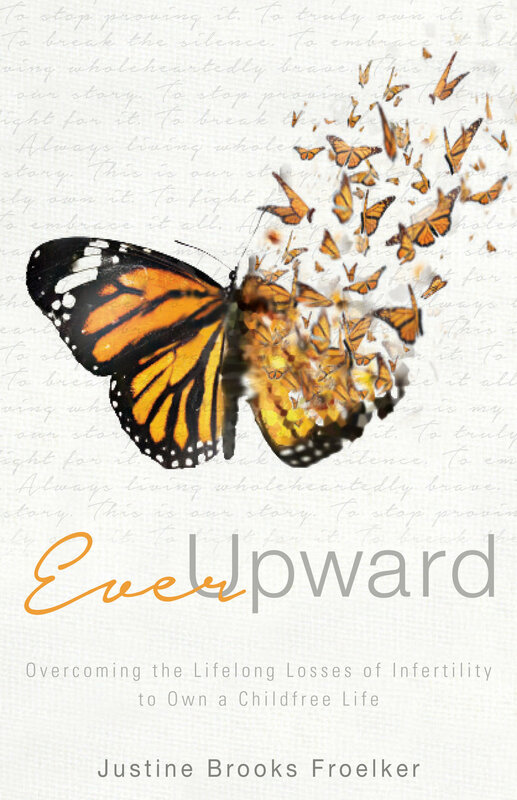 After much work, effort and help from many people the book cover of Ever Upward is ready! I am so amazed at how it came out. And I hope you all love it as much as I do. I will post the full cover tomorrow some time. 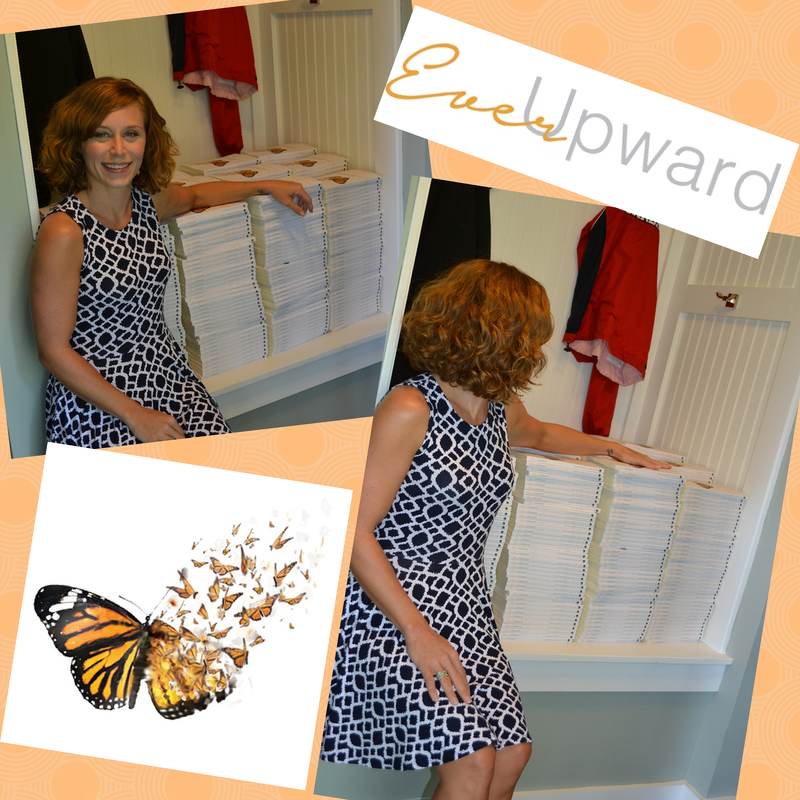 Make sure you like the Ever Upward Facebook page and follow here at the blog so you don't miss any updates or giveaways! My dear friend and fellow vulnerability warrior Jen at Daring Happiness has lovingly heard my cry for help in building the platform. She is an amazing artist and will be doing a few pieces of art for me to use as giveaways to some of my supporters.